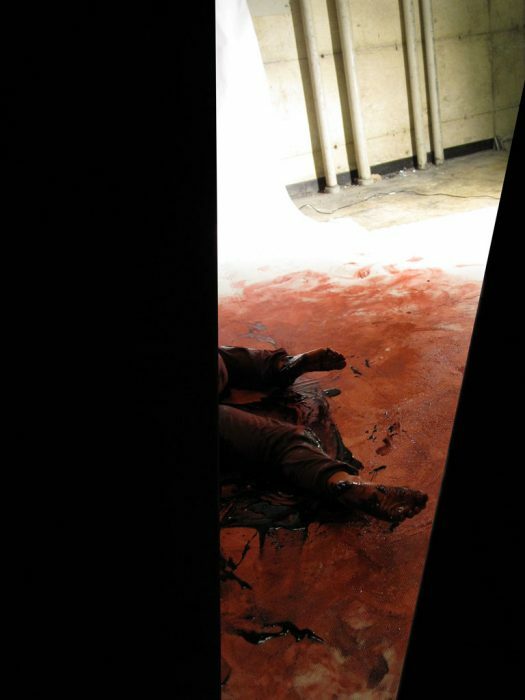 The audience sees a black and white projection of two figures (another wrestler and myself) in white sweat-suits wrestling in dark fluid on white mats. 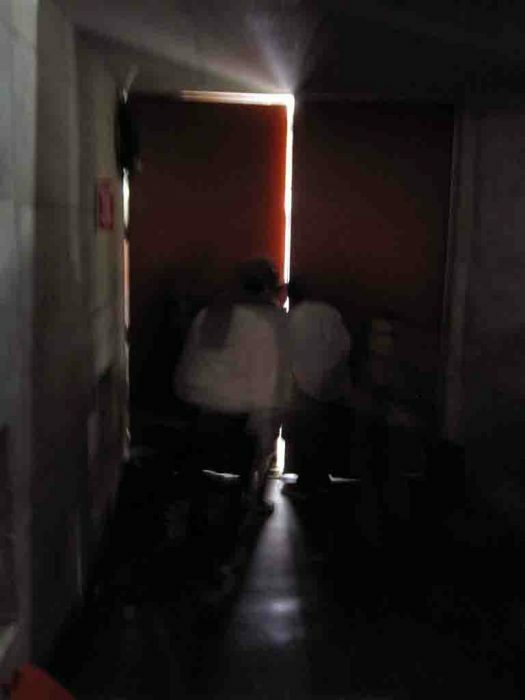 To the left, and down a ramp, there is light coming through two slightly cracked open doors. The sound of heavy breathing is heard through two speakers placed on either side of the doors. If the viewer looks through the crack, the wrestlers can be seen grappling in red fluid while wearing wireless microphones. 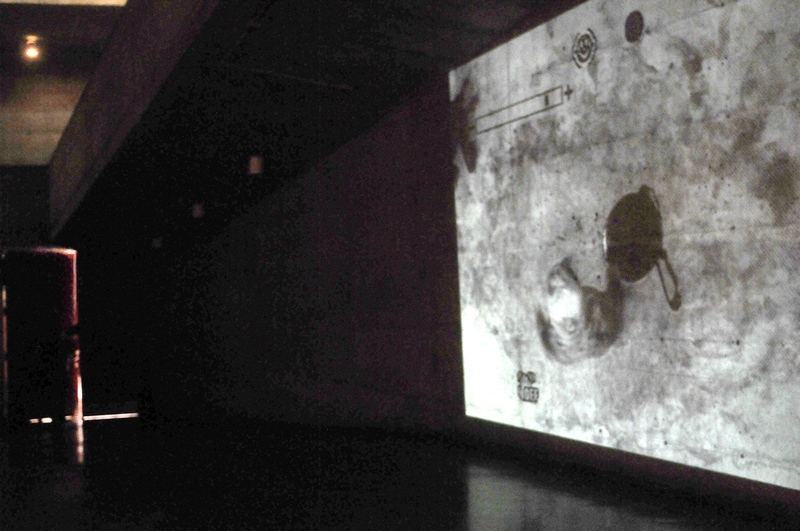 This piece is exhibited as a looping projection on the floor.